This year has gone quickly. Let’s recap. Back in April, Monte started working for a company in Edinburgh. This involves a change in his working hours, so he works evenings as well as during the day. He’s enjoying the challenges of his new role, as well as the opportunities to travel. He went to Edinburgh in August. Sadly, montes beautiful mother, Maxine, passed away on December 1. She is very much missed! Monte is taking a holiday over the Christmas and New Year period, during which he will turn 40 and celebrate with friends and family. I returned to work in August. 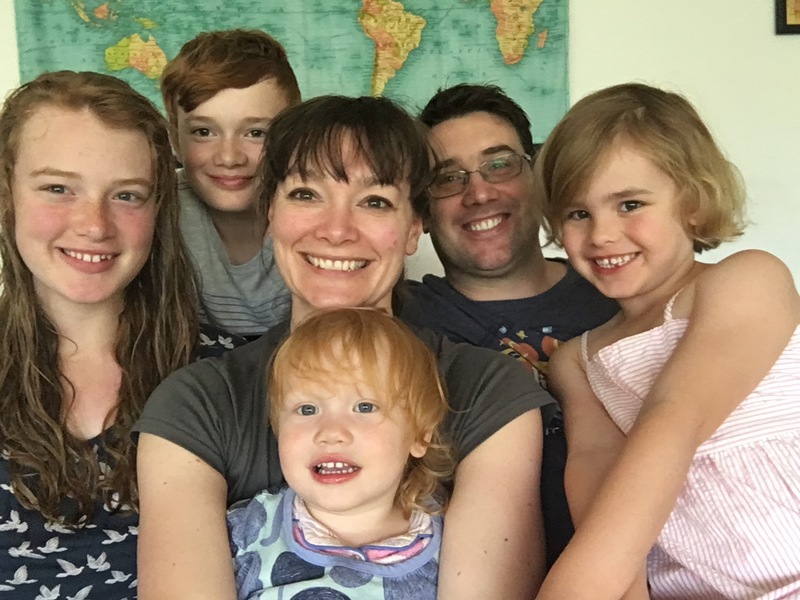 It was a serendipitous moment – I had just driven home from dropping off the kids at school and childcare, and was thinking that I felt ready to be working again. That very night, my boss phoned me to talk about a job opportunity, and now I am the support teacher for 3 days a week at the local primary school- and loving it! Another big thing for me this year was losing 22 kilos. Matthew, now ten, is overly enthusiastic about computer programming and gaming. He’s the kid who gives me the most hugs. He’s the kid who plays outside most of the time and always does his chores when asked. He loves reading and we can’t keep up with the books he churns up! Sarah, little Sarah, just turned two. We are all enjoying her language explosion. She is a chatty little girl, learning to jump and skip. Her favourite animal is a cat, and she loves our kitty, Jade. I’m still breastfeeding her half a dozen times a day and I am really hoping to wean her this year. Sarah, to all of us, is such a blessing and we are all enjoying her cheerful, cute and clever demeanour. Farm and garden has been on hold for us this year as we adjust to having two working adults and increased and changed working hours. We had a cow and pigs slaughtered this year, so have two freezers filled with meat. We are still eating through the jams and other preserves I made last year. We recently cracked into a Christmas cake I made in either 2013 or 2014 (probably 2014) – it is so moist and delicious. 2017 promises to be a busy year – aren’t they all, when you have four children and you work and try to run a little homestead? We are aiming to work in the garden more, setting up more perennial food crops. We are planning an extension, which we hope to have completed by next Christmas. 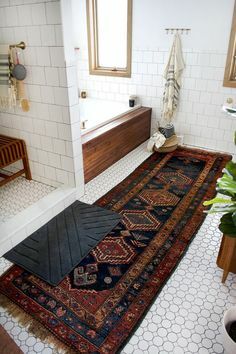 There are other renovations we want to do around the house, the biggest and most important one (for me!) 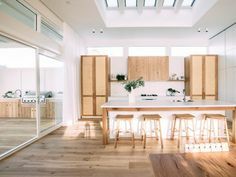 is the kitchen. For a long time I’ve been cooking on the wood stove during winter, which is lovely, but I still don’t have a proper oven or stove for the summer when we don’t run the fire. So watch this space! For Georgia, 2015 was her final year of primary school, a bittersweet concoction of emotion. She represented her class on the SRC for the second time and worked on the school’s magazine committee. The grade 6s had their school camp in Melbourne, which she loved. Our Amazonian tween achieved her orange belt in karate. She also enjoyed another year doing a girl guides – 2015 was her sixth year of girl guides. In 2016 Georgia will be starting high school and will be participating in lone guides because of her busy schedule. You are most likely to find Georgia reading, or writing posts for her blog (Planet Georgia). Matthew is as tall as my shoulders as I write this. All his swimming and karate is helping him grow big and strong! Matthew also loves reading. I feel quietly excited when I find my children reading under their bedcovers by torchlight at 10pm. One of Matthew’s favourite activities is playing in the paddocks and in our forest. He also loves playing on his Xbox. Minecraft is one of his favourite games: “It’s the best game in history, I think.” Matthew takes after his father; he has become engrossed in computer programming. He likes creating games! Monte won the ‘Senior student of the year’ in karate this year. He is now a purple belt! He’s working at home and on the farm; his newest passion is his pigs. He has wanted pigs for a long time (I finally acquiesced!). There are a few things in store for Monte in 2016, one being a slight change with his work situation. Monte went to Adelaide this yer to spend time with his parents to help out after his father, Gordon, had open heart surgery. 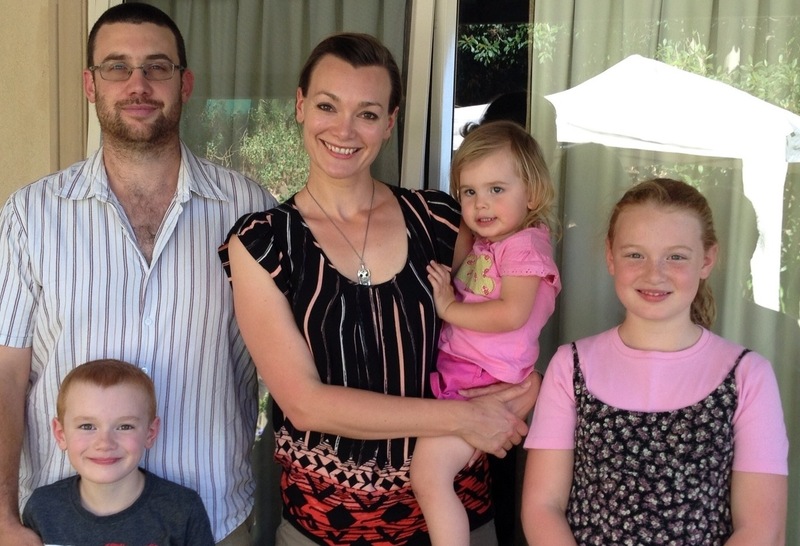 We visited Monte’s sister, Sarah, and her family in Canberra this year. It was a very special time! I don’t know what I would do without this amazing man in my life. I am grateful for being able to take time off work to be home with my family. In fact, I am not working in 2016 either. I feel like I am gradually building up my emotional strength and I hope to build up my physical strength in 2016 as well. We enjoyed a seaside holiday to Swansea over my birthday this year. It was a lovely little getaway to the east coast. I did a permaculture design cours (PDC) this year and I am enjoying putting what I’ve learned about permaculture to use on our property as well as plannin to make an income with my accreditation. As well as my family, my passions are cooking, my yarn craft (mostly crochet) and my animals (ducks, chickens, rabbits). I’m loving the garden and I love it that Sarah is now old enough to wander around while I spend time gardening. 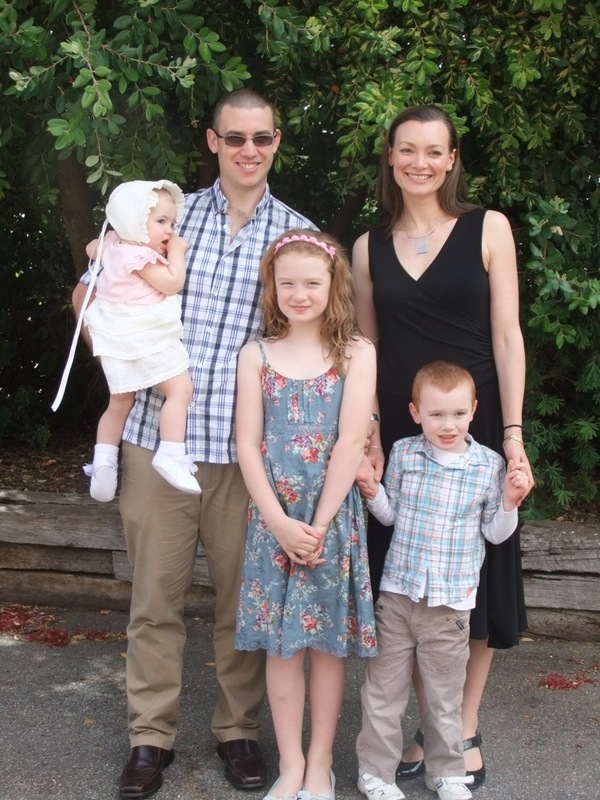 I recently went to Adelaide for the first time in over 2 years so I could visit family, including my sister Sophie, who lives in USA. I took Sarah and Georgia with me; it was a special time. On the farm front, we introduced ducks, pigs and rabbits to our menagerie this year. We got rid of our sheep because our dog chased them. Our goal is to become self sufficient in regards to our meat needs in 2016. We are producing a fair bit of food, but still not enough to cover all our needs. We are growing a big crop of potatoes. We grew large quantities of broad beans and garlic, and we have a lot of fruit and berries growing. We are trying to produce a lot of perennial food, like rhubarb and nuts. Each year we get closer to our goal of living more sustainably. We have a few goals for the garden, one being a new vegetable garden in a paddock close to the house. It will consist of another polytunnel and a netted garden tunnel as well. One of the resins we got our pigs was to prepare the soil for that new garden. I should probably write about the year that was, as is my custom. Except I’m running a bit behind this year! One thing that is really cool about this year is that we kicked off 2013 with my best friend of 23 years, Brooke and her family in Adelaide; we then said bye to 2013 and hello to 2014, together with Brooke and her family again, except this time in Tasmania! it was great! We have had quite a few people visiting us this year: friends Amanda and her kids, Kristen and Matt and their kids and Brooke and Ben and their kids. 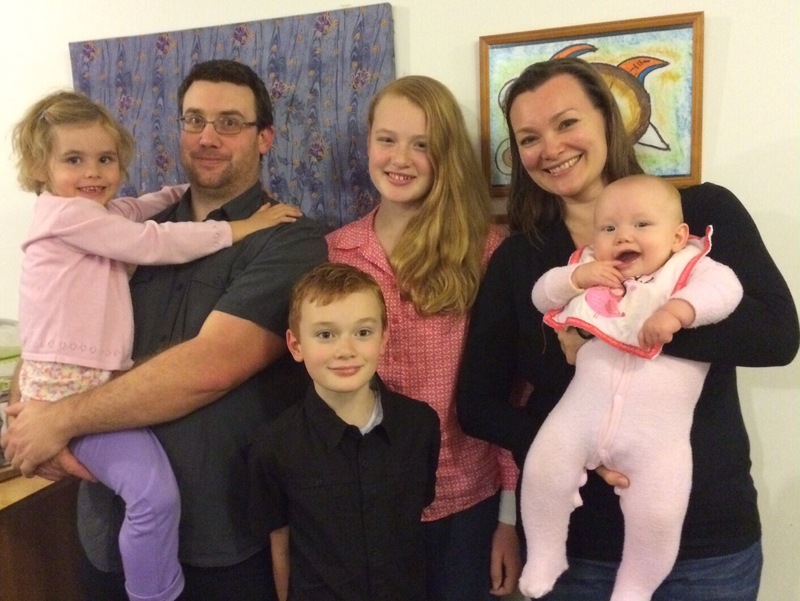 I had an ex-student of mine, Rachel, from my earliest teaching days, visit us with her family. We’ve had grandparents come to stay, and just today we said goodbye to Monte’s sister Sarah, Russell and their children Isaac and Lily. We had a really really wonderful time with them. We/I visited Adelaide a couple of times in 2013. Firstly, when we all went back for Christmas and New Year’s Eve, where we joined our families, including my sister from LA, for a big celebratory Christmas. It was wonderful to catch up with everybody again. I visited Adelaide in late October with Elora. I was 26 weeks pregnant and I wanted to see my family and friends before I was too pregnant to travel and before I had a little baby to care for. It was a wonderful, albeit speedy, visit. I miss my family and friends very much. We had a little holiday in Melbourne, with Monte’s sister Sarah, Russell and their family, as well as our good friends Ben and Jill and their families, to celebrate Jill’s 40th. It was great having all the cousins together (to explain it, Ben and Russell are brothers, and we are all like a bit happy family) and seeing some of the sights of Melbourne: the Acquarium, Museum, Queen Vic Markets, China Town and Lygon Street. We can’t wait to go back to Melbourne for another visit! On the property front, there is much to do still. We are slowly building a polytunnel, in which we plan to grow most of our food. We plan to build more paddocks and more fencing this year as well. We are growing our own meat now, which is great because it is all part of our big plan. We had lambs for the first time this year, they’d grow so quickly! We will probably have a cow slaughtered in the next few months, and some sheep later in the year. I adore my chickens and we collect plenty of eggs, but our birds are not the eating variety. With our surplus roosters, my plan is to build a chook-tractor that fits over our garden beds, so we can put the roosters in there to clean out the garden beds in rotation. 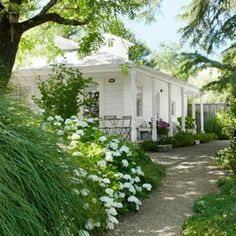 Once I am physically more capable, I am looking forward to getting into the garden, for both the aesthetic and productive qualities! Our home got some changes in 2013. Monte did a lot of paving, in the front veranda and at the back of the house as well. We also had the house painted white, which we really like. 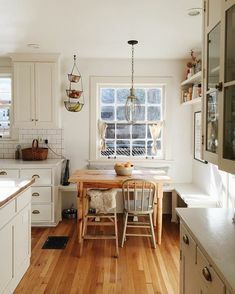 I think the house is mostly complete, apart from needing a splash back behind the wood stove – we just don’t really know what to do there. This year we aim to build an extension, or at least have the extension in the planning and beginning phases. We will be building a new office for Monte and a new main bedroom. We have been discussing a few ideas and we are currently investigating building to the west of our house so we can maintain the passive solar heating and cooling that makes our house so comfy! So, for Monte, 2013 was a big year. We travelled to Europe in May, so we could celebrate being together for twenty years and also so he could attend the RunRev conference in Edinburgh, where he gave two presentations. It was great for him to meet the people with whom he has been working for over a decade – face to face. His business has been thriving, with Monte creating bespoke applications for his clients as well as doing commissioned programming. He is very busy! In his spare time he is going for walks and hikes and mountain bike rides, as well as some camping with the children and jobs around the house and farm. Monte is amazing. He brings me coffee every morning and when I was working he would get the lunches ready and get the children ready for school. In 2013 Monte began teaching Georgia and Matthew some computer programming, and, surprise surprise, they both love it and have taken to it like ducks to water! An awesome father, we love having him around so much and we feel really lucky! This has been a pretty good year for me, personally and professionally. I have enjoyed my work as a support teacher immensely.I have really loved working with the special needs students. It is very rewarding. I continued my studies into Dyslexia and also completed a course about Autism. Our holiday in Europe was just amazing. I can still smell, see and hear so many things we did. Walking along the Thames, La Sienne, the streets of Edinburgh. Highlights were climbing the Eiffel Tower with my sister Sophie and spending some days in Paris with her; visiting the Tower of London and being overwhelmed to the point of tears at Westminster Abbey; walking around beautiful Edinburgh, alone with nothing but my thoughts and my credit card. I could go on. I haven’t written about our Europe holiday on my blog yet, and one day I hope to do so. 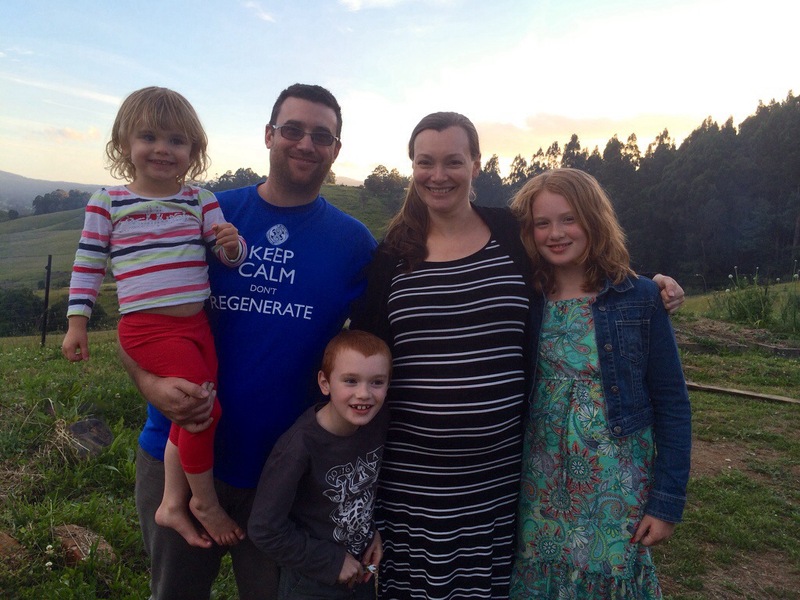 Of course, since coming home from Europe I have had a severe case of placenta brain and we are excitedly and somewhat impatiently awaiting the arrival of our fourth child at the end of this month! I’m very excited about the year ahead. I am taking at least one year leave from work to focus on the family. I expect that having four children is going to be wonderful and very busy! Our Georgia is almost the same height as me. We share a shoe size. Georgia has been learning piano again this year and is really enjoying it. She takes the keyboard into the guestroom and plays happily for sometimes half an hour a day. She can’t wait until we get a proper piano but unfortunately she needs to wait until we build the extension to our house. Georgie also busies herself with Girl Guides and swimming lessons. She is an avid reader and is extremely well-read, having a handful of favourite authors and genres. She loves talking about her books. She is currently reading the ‘Hunger Games’ trilogy. She also loves reading the classics, like “The Secret Garden” and the “Little House on the Prairie” series. She won second prize for the grade 4 division at the Interschool dance competition, ‘Dance Fever.’ Georgia likes knitting and sewing and I adore spending time with her doing those things. She loves exercising and she has recently taken up walking with Monte most mornings. They sometimes do 11km walks in the forests around our property. Matthew has also developed a big love of reading; like many boys, he often prefers to read non-fiction, although he is keen to read books like ‘Tashi,’ ‘Zack Power’ and anything by Andy Griffiths. Matt loves swimming lessons and in 2013 he changed from not wanting to get his hair wet to treading water in the deep end of the local pool and learning freestyle and backstroke! I think Matthew’s favourite thing would be building things with Lego and Meccano. He seems to have a deep interest in designing things, especially things with motors, and then building them and putting them into action. His big goals are to build a robot and a tree house with Monte. Matt has also become very interested in cooking and usually asked to be involved with our baking adventures. He dreams of camping and I think that if they could, Monte and Matt would go camping every weekend! Elora has grown up so much this year! They do, though, don’t they. There is a big change between the ages of 2 and 3. Ellie loves putting on her dress ups and dancing. She loves helping, whether it is in the kitchen, whilst cleaning, doing outdoor jobs or anything. She loves being involved. She loves talking! She loves her books and stories and likes to ‘read’ to us as well. Her favourite toy is still her giraffe, ‘Raffie.’ Her favourite colour is pink. She loves sharing a room with her big brother Matty, and she gives him lots of cuddles. She can’t wait to be a big sister, and not long ago she came to sit next to me, and with a very serious expression on her face, said, “Mummy, why is the baby taking SO LONG? !” Elora when to Childcare for three days a week whilst I was working last year, but this year I will be keeping her home with me. I am very excited about it. We have plans for swimming lessons and play groups and mothers groups. We both like socialising so it’s important that we get out of the house and spend time with friends. We have had a great year and we feel very blessed to have each other, our families and all our friends. We love living on our property in the comfortable home that we built, and which we love, overlooking such a beautiful valley. We live in an area surrounded by gorgeous flora and fauna, amazing food, amazing people and wonderful things to see and do. We love to share all this with house guests, so please come and visit! Wishing you all the very best of things in 2014. See our Christmas greeting here. As the silly season is thrust upon us once again, and all too soon, we would like to take this opportunity to wish you and your family a safe and happy Christmas and New Year. This has been a good year for our family and we are happy. We kicked off into the new year with some lovely friends staying with us all the way from Adelaide, and we had a big New Year’s Eve party with friends, which was a fantastic and fun occasion. From our house we look over the valley and on New Year’s Eve we can watch fireworks and bonfires in the distance. We had a lovely holiday in Strahan over Easter. Strahan, on the west coast, is a very touristy town but it is a very interesting one. Monte and I ventured there for our honeymoon nearly 14 years ago. In Strahan we went walking through forests and we watched beautiful waterfalls. We went tobogganing on sand dunes, which has got to be one of the highlights of our year! We walked along beaches and went moon watching. We had a great time! In August we visited the lovely Bruny Island for a short holiday. There is so much to see on this lovely little island, like beautiful beaches and a historical light tower. We saw masses of wild rabbits and giant crabs, all of which fascinated the children. Monte went diving and we had mussels for our dinner. We look forward to visiting Bruny Island again. We have enjoyed visits to Cockle Creek, in the very south of Tasmania, for picnics and so Monte can go diving. We recently bought a kayak so we can venture out into the bay during these visits, and we look forward to camping trips over the summer. I went to Adelaide with Elora in April to attend my beloved grandmother’s funeral. She lived to 91 and she touched the lives of so many people. She is very loved. I miss her dearly and I think of her daily. Monte is a busy man, with his business thriving. It is great for us that he works at home; he takes the children to school and picks them up and he is always there for his family. Working at home can’t be easy with all the distractions! Monte also does a lot of work around the property, such as fencing and mowing the lawns; he recently bought a ride-on lawn mower to make his job here easier! Keeping the stock of wood for our wood stove is yet another thing that keeps Monte busy, but he really likes to go mountain bike riding, diving and hiking with his mates, and he enjoys running whenever he gets the chance too. I have been teaching at Huonville Primary School this year, starting out as full time and then changing to part-time in November, after I got my full permanency in September. I enjoy teaching but being a working mother has many challenges and I am so grateful for all the support Monte gives me so I can continue my career. I have been enjoying writing my blog this year and I am glad that I kept up with my photo-a-day project. I wrote over 50000 words in November, winning NaNoWriMo for the second time. Georgia is so tall for a 9 year old. She has had a fun year, doing dance and Girl Guides. She went in her first triathlon in November and she has been working on her swimming technique recently. Georgia danced with her school in the DanceFever competition recently. Georgia loves reading. It is her favourite thing, and at present she is reading ‘The Secret Garden.’ She loves the animals on the farm, particularly the chickens. Matthew is 6 and he loves reading too! He lost is two front teeth at the same time this year and he looked so cute. Matty loves being outdoors and he spends a lot of time running around with the dogs, building things and playing in the sand pit. This year he learned how to follow the instructions for Lego construction, which is pretty good, although Monte actually enjoyed building Matty’s new Lego kits! Elora has grown up so much this year. At the beginning of the year she was a baby still, and now she is a toddler! She is speaking a lot, learning new words and expressions daily. She has been going to Childcare three days a week and she seems to enjoy it there and she has a lot of friends. She is a very happy, confident child. She loves cuddles and her favourite toy is a giraffe called Rafie. Her favourite colour is pink and she likes wearing things with flowers on them. Our animals are fun and interesting. 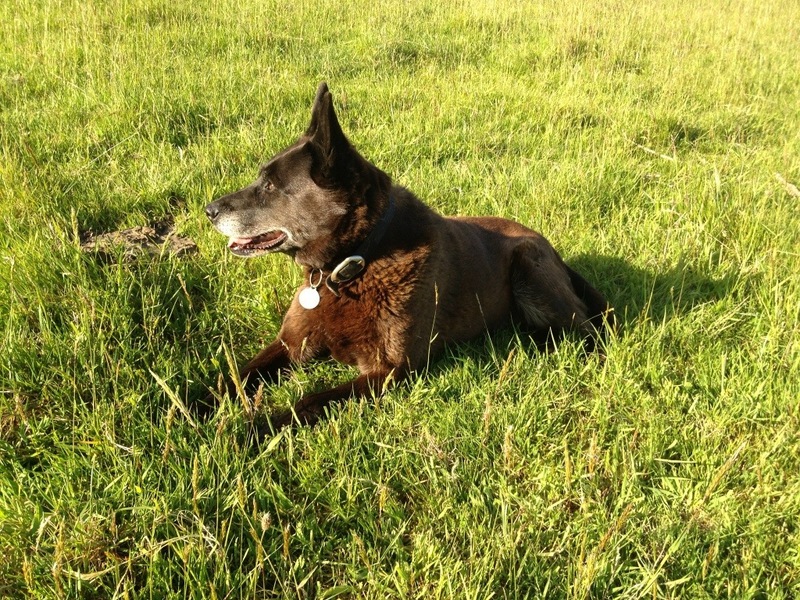 Our kelpie, d’Art is now 13 and although she is old she acts like a puppy at times and still wants to play fetch often. We have 2 dogs and one cat and the children adore the pets. Pets are so good for children. This year we bought 4 coopworth sheep and a Dexter cross heifer called Bella. The birth of Bessie on our farm in April was a highlight of the year but the death of her mother, Nina, was upsetting. Our steer, Mr T is set for the freezer. We also have 6 chickens, and Chelsea, the mother hen, is currently sitting on 4 eggs, which are due to hatch around Christmas time! So it has been a good year, filled with blessings and challenges and we are very grateful. Next year Monte and I will be celebrating 20 years of being together with an overseas trip to London, Paris and Edinburgh! It has been another year, filled with blessings, for our family. As well as continuing to build on and enjoy our home and property, we had the privilege of travelling to Vanuatu this year to celebrate Rebecca’s mothers 60th birthday. It was wonderful to celebrate the occasion with my siblings and their children and everybody had a treasured time. We went to Adelaide in October so I could be a bridesmaid in my sister’s wedding. Elora was baptised during our stay there, which was a lovely occasion. Georgia also celebrated her 8th birthday with a party with her relatives – something she has not been able to do since she turned four! Monte is our rock, working from home and being present for the children. He works hard on the house and property, with fencing being one of the biggest jobs he has done this year, in addition to other jobs around the house, like concreting the carport and building a deck. He continues to sit on the Board of the Bendigo Community Bank, a role that he enjoys. One of Monte’s achievements this year was competing in the winter multi sport challenge. I have been working two days a week, in a Literacy support role in the local primary school. My hours are spread over three days, meaning that I have a lot of time with Elora. I received permanent status in the Tasmanian Education Department this year. I’ve been enjoying my crafts, like knitting, crochet and sewing, and this year I participated and won a National Novel Writing Month contest, whereby I wrote over 50,000 words in November. Georgia has been enjoying grade 2 and her love of reading continues to escalate! She has been enjoying Girl Guides and dance. She recently went on a Girl Guides camp, which she thoroughly enjoyed. She has danced in several dance concerts this year as well, particularly loving the make up and dressing up that she gets to do! Matty loves kindergarten and I have loved the days I have been able to spend at home with him on Mondays and Fridays. Matthew really loves being creative: he loves dancing, inventing songs, painting and telling stories. Matty loves building things and learning how things work. Elora is a delightful baby. They grow so much throughout the year and this year she has changed from a newborn to a little cherub who walks and talks! I really enjoy her. 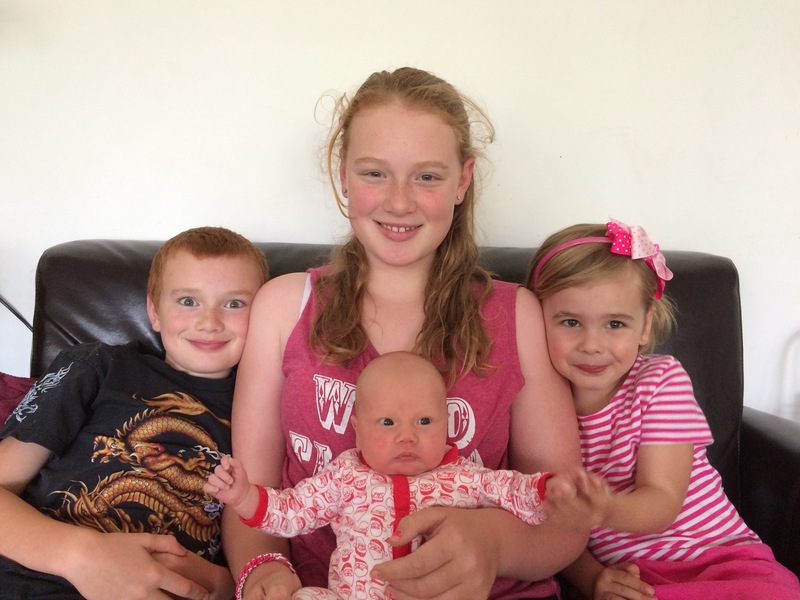 She is very cruisy and we can’t believe how blessed we are, with three gorgeous, healthy, well behaved, adorable children! It has been a good year. We hope your year has been a good one too, and we wish you a very happy Christmas and a peaceful and enjoyable 2012. We hope our letter finds you and your loved ones well and happy. Don’t the years race along! 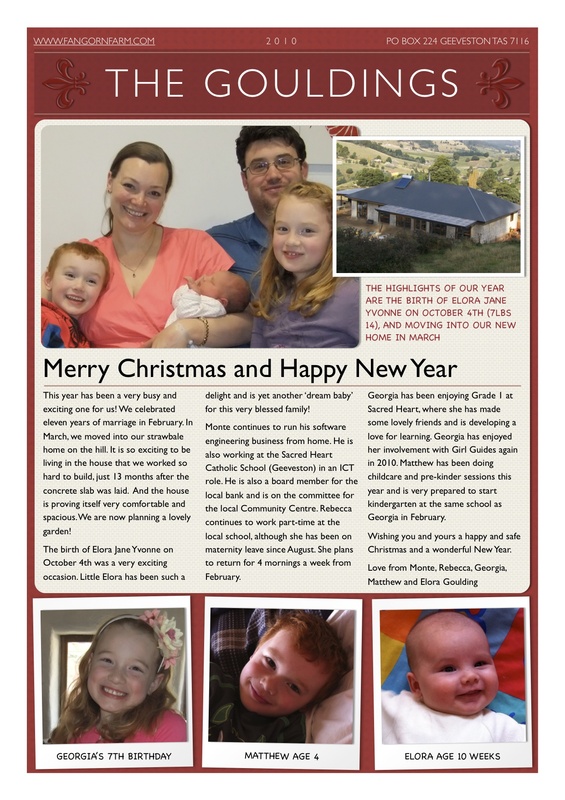 It has been a busy and memorable year for this family. 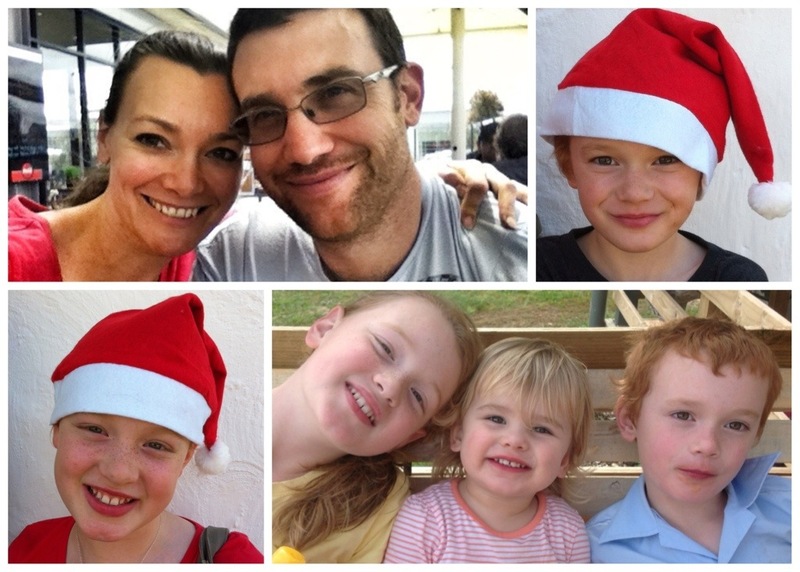 Twelve months ago, we had not yet started our building project, and we were heading to Adelaide to share Christmas with our beloved friends and family. This Christmas will be our first Christmas away from “home,” and we will be busy getting our new house in a livable state – we are going to move in this summer! A great deal has happened for us this year. Building our strawbale home in Geeveston, Tasmania, has been interesting, challenging, enjoyable and exciting. At the time I write, things are moving very quickly, with power being connected, walls and ceilings being plastered and the wood-stove, appliances, bathrooms, flooring and the kitchen being ordered. We will be ‘camping’ in the new house over the Christmas period, about which we are very excited! Monte has had a very busy year. He has undertaken the herculean task of building a house, whilst continuing to run his business and working on the property. Milling timber for the build and gardening are some of his jobs. I appreciate everything he does for his family, and he certainly deserved winning the “Top of the Pops” award in June! We’re proud of Monte! Living in the home he has built with his bare hands will be an honour. My year has been busy, after returning to work, again with the challenges of juggling work with raising a family and building a house. It has been both exhausting and rewarding. I was pleased to take the children back to Adelaide in June to celebrate Monte’s parents’ 40th wedding anniversary, and we had a delightful short holiday on Tasmania’s East Coast in September. We have enjoyed house guests this year and we’re delighted and thankful that so many hands have helped to build our dream. The children are well and happy, with Georgia (6) having cheerfully started school and taking on the joy of reading and writing with gusto and talent! Georgia has recently joined Girl Guides as a Blossom, and she thoroughly enjoys all the activities involved in being a Guide. Matthew (3) has been attending childcare this year, and he has enjoyed it immensely, making friends and learning lots of new things. He is the first of us to be ready of a morning: his bag on his back, he waits at the door telling us to hurry up so he can see his friends! It is especially fun to watch Matthew’s development into a gorgeous young lad. We feel blessed and grateful to have each other. In the midst of life’s quirks and challenges, we find peace with our family. May peace and joy fill your home and heart this Christmas. With love, Monte, Rebecca, Georgia and Matthew Goulding. Firstly, Happy Christmas and Happy New Year to you! What an amazing year. I could use the cliche and say that we can’t believe how fast the year has flown by. Except I won’t, because it hasn’t. Probably the most challenging and exciting year of our lives to date, this year has been wonderful. A year ago, we were packing up our belongings to make our move to Tasmania. We were very excited. It was a difficult time as we were under the stress of selling a house and moving away, but we were very happy. We still are happy, and, funny enough, most of the things that we were putting in boxes are still actually in boxes and are remaining unmissed (except for my beading supplies, which I can’t find!). I suppose that through 2007 Monte and I realised that we had achieved everything we had ever wanted to achieve – children, career and houses. It was time to reach out and work towards a dream we have always had: build our dream home in the country – Tasmania, to be more precise. We honeymooned here nearly ten years ago and agreed that we would retire here. Except we decided that it wasn’t worth waiting until we were in our sixties to achieve a life-long dream. Why wait? So we didn’t wait and we do not regret it. Living in a small but functional cabin, and sleeping in a neat and fairly roomy caravan has certainly been challenging for this luxury-loving woman. I have come from a large, spacious (west-facing!) house and now we are in a small and cosy space – probably the equivalent of a small 2-3 bedroom unit. When times are hard I remind myself that I have what I need and I certainly have much more than many people on the planet. Besides, we are building a dream so I should make a few sacrifices. It will make the new house even more special and exciting! The great news for us on the house front is that we now have straw lined up for the end of the summer. The plumbing work and the base of the slab has been done, and Ady was helpful to Monte in getting the sand level. The next step will be building the box work for the concrete, and when that has cured for a fortnight or so, we will start framing. In the meantime we will need to find somewhere to store the straw. Monte is contemplating buying the wood for the frames (celery-top pine) and milling it himself. This might take longer, but it will be exciting for Monte and Ady to play with the wood in the duration. Our dream home is modestly large, with an expansive open living area in the middle, with a kids’ wing on the East and a parents’ wing on the west. 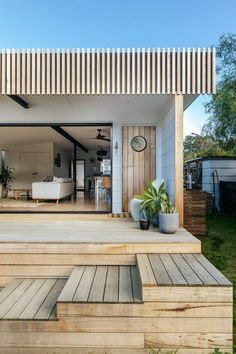 This sounds very fancy indeed, but in reality it is a simple home, with modest bedrooms and large windows on the North side, and view-loving windows on the south side. We have opted for a flat ceiling rather than a vaulted ceiling. We are enjoying dreamy discussions about bathrooms and kitchens and flooring and curtains. We imagine ourselves sitting under the vine-covered pergolas, drinking home brew and laughing about the good old days when we lived in the small cabin down the hill. As far as animals go, our kelpie, d’Artagnan is living her dream too. I love to watch her bounding over the hills, chasing the field birds. Our d’Art was a first wedding anniversary present, and it’s hard to believe she’s (and we’re) that old! D’Art looks amazing and we regret having her spayed all those years ago; she would make a great breeder of farm dogs! Naigee is less impressed with country life, but is getting quite fat! We got Lucy around the time of our wedding anniversary in February. She is a cavalier/silky cross. She is a cute little scruff bucket and is very friendly. We have two goats who are currently on vacation. Our chickens are interesting and they lay eggs for the table. We actually have a broody hen at present, with chicks due to hatch at any moment. This year, Monte has excelled himself, proving to be the ultimate career-family-handy-man. Not only is he running his business as a software engineer, but he is working at the house site as well as doing gardening and other maintenance jobs around the house/property. Plus he spends a lot of time with his children (and wife! ), and feels very blessed that he has the opportunity to be with them so often, whilst many other fathers have the duty of going off to work elsewhere. I have been a SAHM all year. It has been a good opportunity to go out and make new friends, and I have adored spending so much time with the children! We have got into some lovely routines and I have been able to keep them occupied with craft activities, which they love. Nevertheless, I miss teaching. I find myself correcting emails and posters, and thinking critically about any film and novel that I read. I am still considering enrolling into Uni to do my Masters in Education. I have been accepted so the next step for me is deciding whether I can manage being a mum; doing relief teaching; building a house and studying. Georgia! She is five now and apparently is the size of the average nine-year-old! Of course, there is nothing average about my tall, slim, elegant daughter. I am bursting with pride. Recently she was the ‘main angel’ in the school Christmas concert. As her long, graceful arms spread to point the way for those little shepherds, my eyes welled up with tears of great emotion. She was amazing. She has done very well in kinder this year, and her report card is very excellent indeed. However, she is not perfect, and we are battling with some behaviour issues at present. For example, she sometimes hides herself when we go shopping, and I am tired of having minor strokes in public. She also has her mother’s hot-temper! Having said that, she is a very loving and caring daughter and older sibling. Matty, the dream baby is much more a boy now than a baby. Those big brown eyes and those red ringlets are dreamy. Except he recently had a hair cut! He looks very smart with his closely-cropped ‘do. Such a well behaved little man, too. He is neat and tidy, which satisfies me greatly. Matty loves childcare and he has gone there one day a week this year, but we have decided to keep home next year, if only for the first part of the year. His vocab is soaring at a fast rate and he speaks clearly most of the time. I love the way his mouth curls around the word “Georgie.” He has brought me a great deal of joy and he is a wonderful son. It is almost hard to believe that he was just a baby when we arrived here. He has grown up so much! As a family, we have had many adventures this year. We have travelled to Adelaide (too many times). We have been away for the occasional weekend with friends, which has been fun. We have seen a fair portion of this beautiful state, driving through the arid centre and also through the wet west. We have been to the very bottom of the country; it was pouring with rain, but we stood on the most southern road of Australia. We’ve been to country markets and country fairs and shows. We have bid on chickens at the local livestock auctions – an exciting experience. We walked the Tahune Airwalk with Monte’s parents. We’ve walked the streets of Hobart, and scoured the Salamanca Markets many times, watching corny break-dancing and listening to young buskers who have too much talent (or not enough). We have camped in the forests in the North, and picnicked by rivers and beaches too beautiful to describe. Tasmania is beautiful! 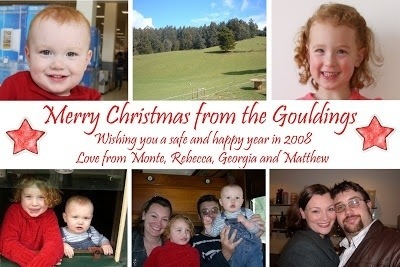 I would have to say that this little Goulding family is having a wonderful adventure and we have had a marvellous year. We look forward to more adventures to come! Wishing you all a Happy and Safe Christmas Season! Georgia continued at occasional care at the local kindy, and even started pre-entry in term four. Matthew has been at childcare, with Georgia, one day a week, but at the end of each day he is very clingy and needs lots of cuddles with mummy! 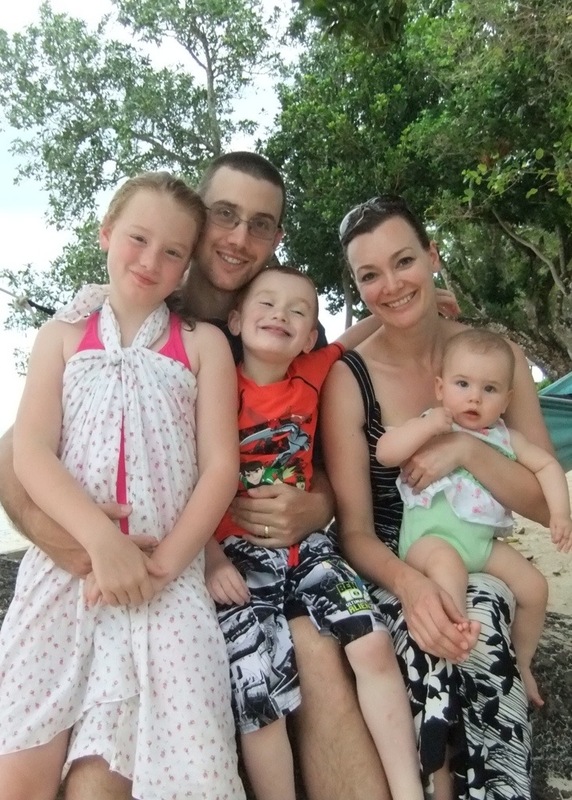 Rebecca returned to work, teaching English at Westminster, part-time. Now she has resigned and is looking forward to spending more time with the children. Monte has been busy, running his business, plus renovating the two houses and looking after the children when Rebecca works. He makes dinner most nights! Our plans for the Festive Season are not very festive, I’m afraid! We’re busy packing and completing the final touches to our house. We will be putting it on the market in early January. After Christmas, we will pack our belongings into a shipping container, which will arrive in Tasmania a week after we arrive. We are leaving Adelaide on December 30th, arriving on the 31st, Monte’s Birthday, so we can celebrate and bring in the new year on our property. If we don’t open a bottle of Moet I will scream, but on 23 acres, who will hear me? How I feel: relieved to have finished work. I have already got things more organised at home. I love teaching, but I am excited about not ‘having’ to work if I don’t want to! I am really sad to be leaving my family and friends here in Adelaide. I will really miss Amanda especially, as we see eachother a few times a week, and we watch ‘Greys Anatomy’ together, and I will miss that. I will miss being able to just ‘pop in’ to see our parents too. But I am really excited about having people to stay, as spending some quality time with people will surely beat a few short visits here and there. I am exhausted; packing things, organising things and thinking about it all is tiring. thankfully, the children are being wonderful. They play beautifully together and are mostly well behaved. At the end of the day, Georgia sometimes gets ratty, but is easily distracted with ‘schoolwork’ that I give her, or crafts (she always wants to make stuff). Matthew is learning to throw tantrums, but as long as I let his head land on the ground softly, I just walk away. He’ll grow out of it. Our house is a mess and I am anxious to tidy it and get some photos taken for our real estate agent. We are giving away a lot of things. We are hoping all our stuff fits in the shipping container (it will). For now, Merry Christmas to you. I think this Christmas will see mixed emotions in this Goulding Family! Hi Rebecca, I read your blog on a site I have been researching, ‘the Gillam Family’ & I noticed that your maiden name was Gillam. I am trying to trace all my family ancestors & coincidentally my grandmother was a Gillam. I also live in the Geeveston area at Port Huon so we are nearly neighbours. My grandmother was Hannah Amelia & was one of thirteen children. They lived for a time in Cockle Creek but then later moved to Hobart. If you are a member of this clan I would love to hear from you. regards Liz Rickards.